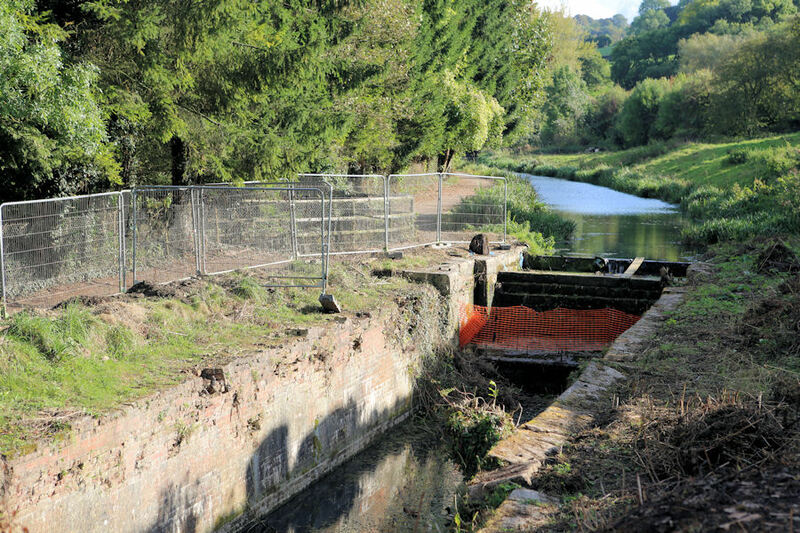 Preliminary work has started on the restoration of Ham Mill Lock near Thrupp in Stroud. This is the third lock in the Bowbridge; Griffin & Ham Mill section of the Phase 1a restoration to be led and undertaken by volunteers. 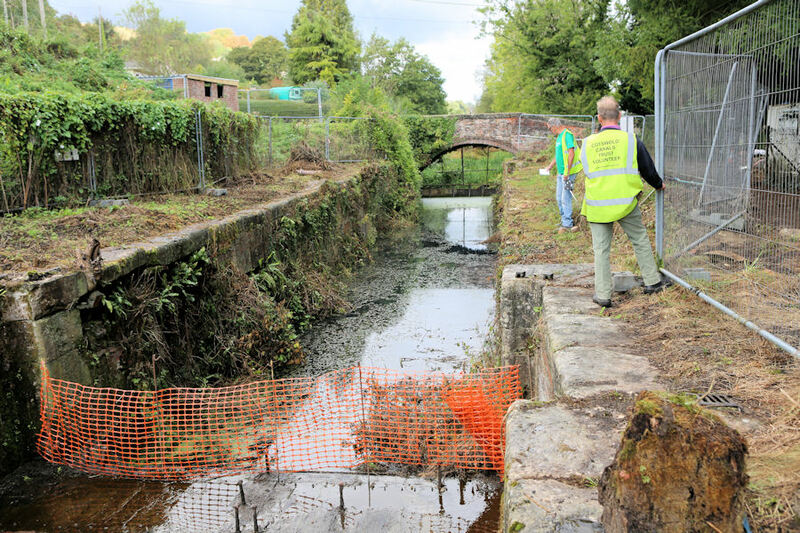 The restoration of Ham Mill Lock will be carried out by Cotswold Canals Trust volunteers from the Trust's Western Depot at Eastington. The project is led by Western Depot Manager Ron Kerby. The initial enabling work has involved the installation of safety fencing as well as the siting of staff welfare and equipment storage facilities. 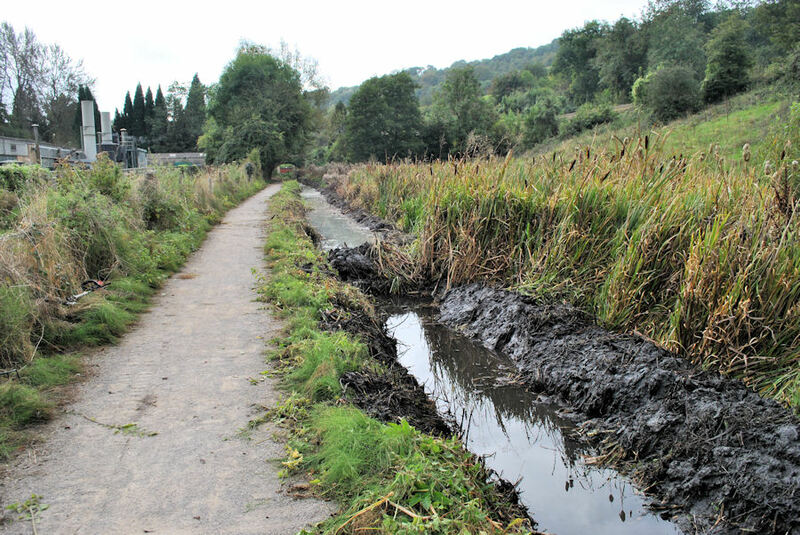 Volunteers have already cleared vegetation from the area around the lock and lock walls. This early work will enable closer inspection and assessment of the work to be done. A channel has been dug from the bottom of the lock to Jubilee Bridge. 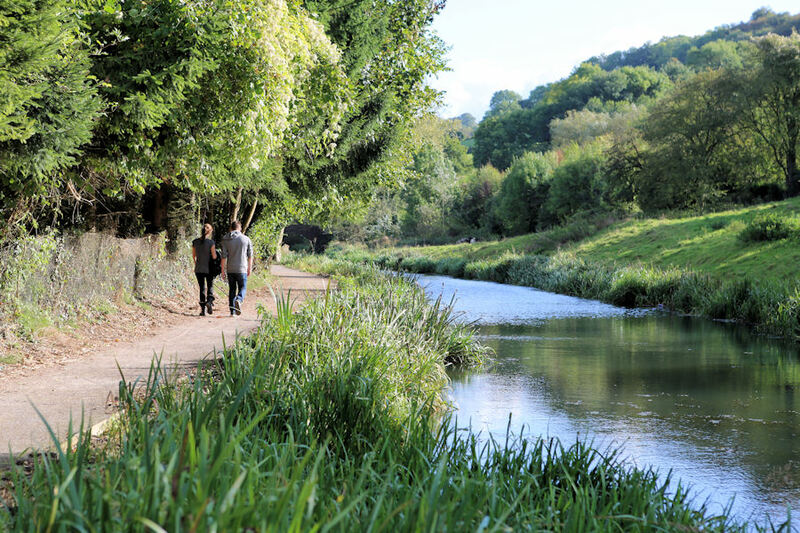 The channel will allow water to be pumped out of the lock and drain away through the silted up pound between Ham Mill and Griffin Mill Lock. Once empty of water the silt in the bottom of the chamber will be removed by a local contractor using a long reach excavator. The next task will be to erect scaffolding in the chamber to enable the removal of some failed brick and stone work. This will be followed by rebuilding the lock walls. Initially, it is intended to work on the project for three days each week. The number of work days can then be extended as the project becomes established. The trio of CCT volunteers Ron Kerby, Martin Gray and David Timby have pooled their professional knowledge and expertise, drawn from building industry Project Management, industrial Health & Safety management and Civil Engineering respectively, to draw up and oversee the Ham Mill Restoration Project. The fourth photo shows the pound above the lock. The clear water is the result of clearance work carried out by the local angling club. Ron Kerby had some warm words of praise for the local people… "Such a project could not be undertaken without the co-operation of our neighbours. We are grateful for the support we have received, particularly from Bailey Paints who have allowed us to store coping stones on their land; local farmer Dave Stevens, who has allowed us to use his yard for parking; and especially to Bob & Wendy who live at the side of the lock. They have all welcomed us so warmly."